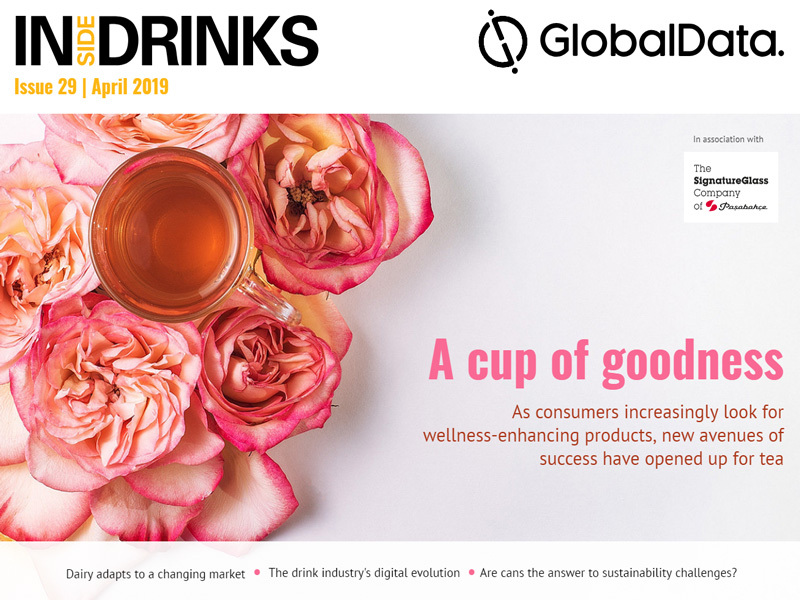 In this issue of Inside Drinks we examine the dairy industry’s struggles and how it can adapt for the future, explore tea’s ascension within the wellness trend, and find out how smart technologies are changing the drinks industry. We also look at whether aluminium cans are the next step in sustainability, and talk to High Style Brewing about the future of the THC brewing market. Finally, we talk to Pernod Ricard’s CEO about the groups’ future, find out why consumers are demanding more experiential marketing activations, and talk to the CEO of Vivid Drinks about the beverage industry’s future with wellness. The dairy market has been taking hits in recent years, due to both a variety of economic upsets and consumers’ increasing shift towards milk alternatives. In order to recover, the sector needs to be able to adapt and innovate. 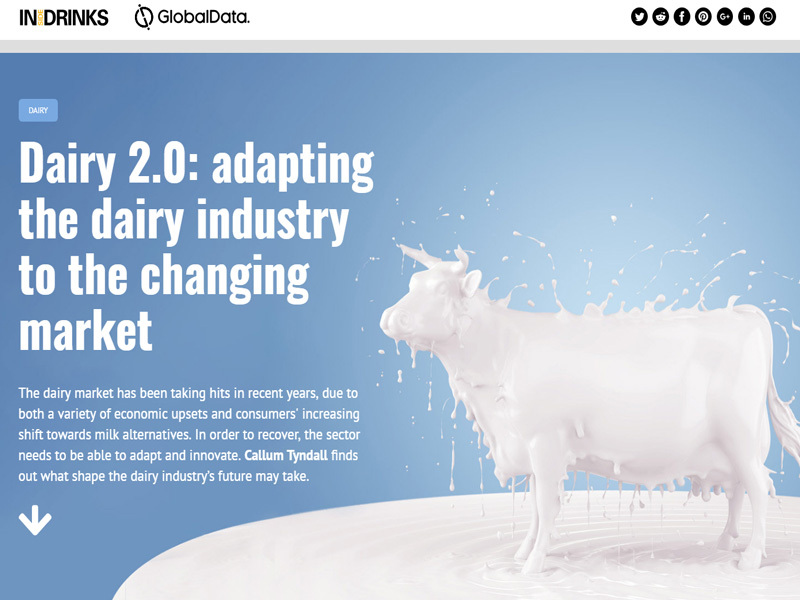 Callum Tyndall finds out what shape the dairy industry’s future may take. 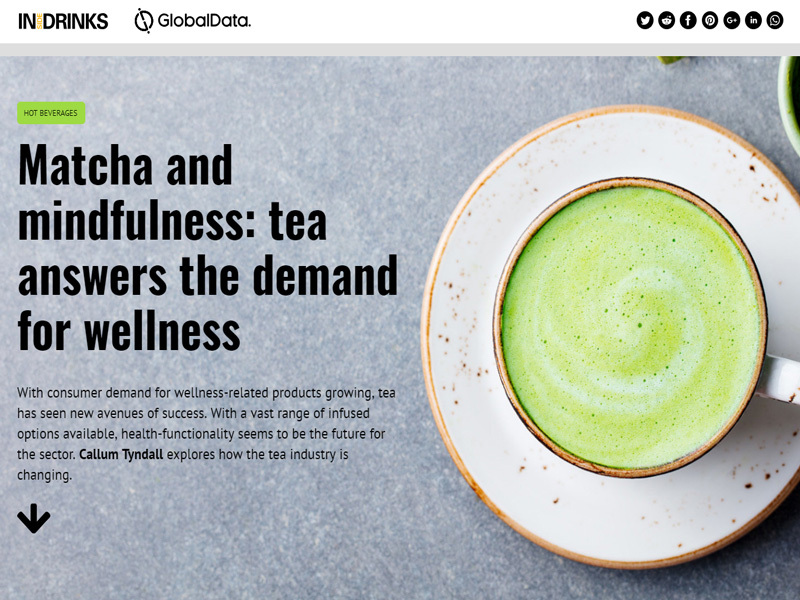 With consumer demand for wellness-related products growing, tea has seen new avenues of success. With a vast range of infused options available, health-functionality seems to be the future for the sector. Callum Tyndall explores how the tea industry is changing. Smart technologies are on the rise in a variety of industries as technologies become ever more connective and automation promises market-wide change. Joe Baker finds out where technology is providing a boost to the drinks sector, and what the future could hold. With canned wine and cold brews increasingly hitting supermarket shelves, is switching to aluminium cans the next step for sustainability? 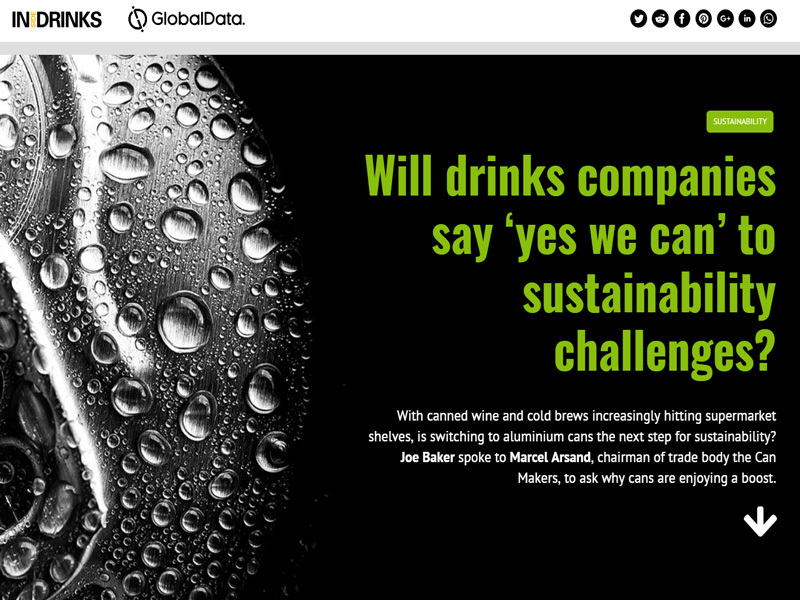 Joe Baker spoke to Marcel Arsand, chairman of trade body the Can Makers, to ask why cans are enjoying a boost. As cannabis is gradually legalised across the US, start-ups have scrambled to capitalise on demand with new lines of marijuana-infused beverages. 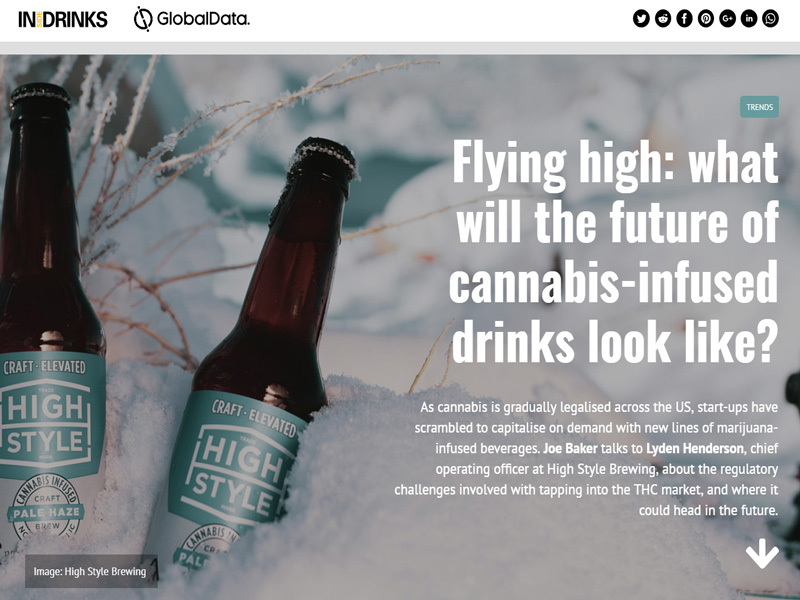 Joe Baker talks to Lyden Henderson, chief operating officer at High Style Brewing, about the regulatory challenges involved with tapping into the THC market, and where it could head in the future. 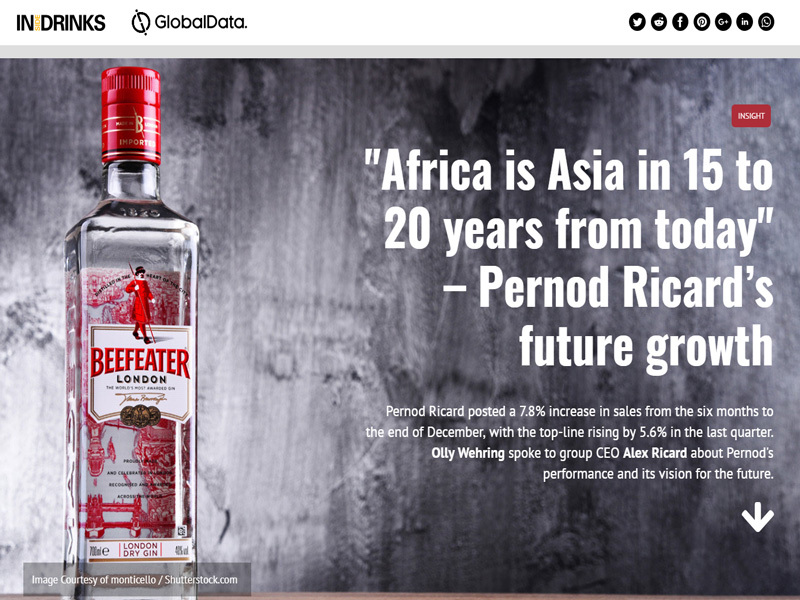 Pernod Ricard posted a 7.8% increase in sales from the six months to the end of December, with the top-line rising by 5.6% in the last quarter. Olly Wehring spoke to group CEO Alex Ricard about Pernod’s performance and its vision for the future. Consumers are increasingly looking for products that can offer more, whether it be in the form of functional ingredients or marketing that is more than just a tagline. 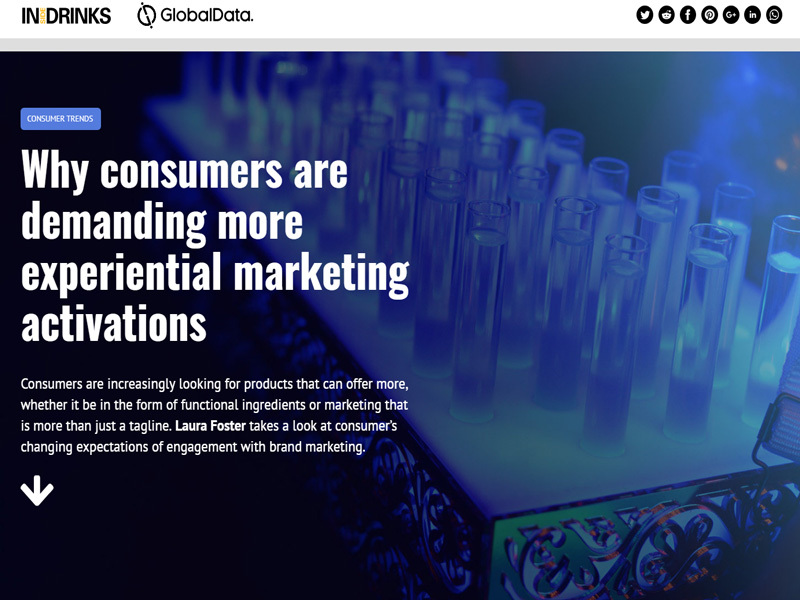 Laura Foster takes a look at consumer’s changing expectations of engagement with brand marketing. 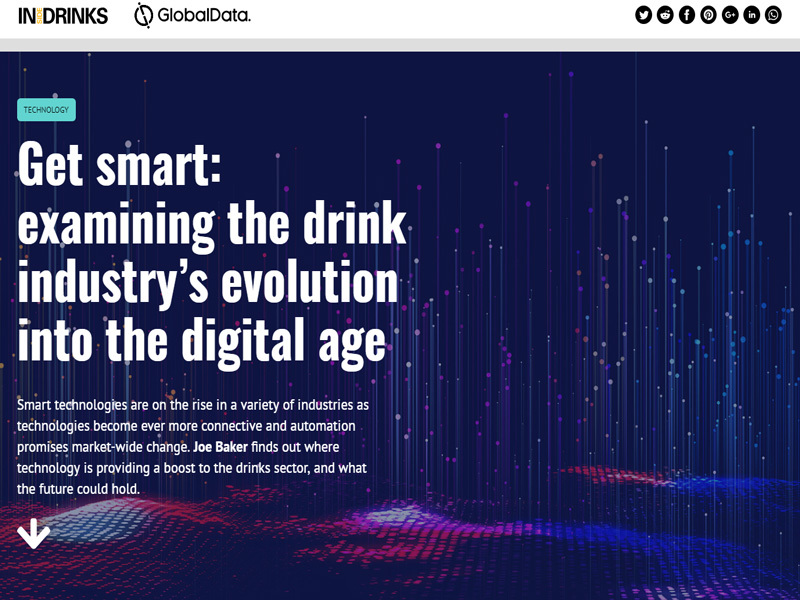 In the next issue of Inside Drinks, we look at the threat of extinction facing most coffee species, find out how blockchain is being used to combat counterfeiting in the wine industry, and learn more about the rising popularity of non-alocholic drinks. Also, we find out why the industry needs to be reconsidering farming practices in response to more conscious consumers, and take a look at where the various trend products that have received initial media buzz in recent years are now. Finally, we speak to Libertas Vineyards’ managing director about breathing new life into premium wine, and hear from Quintessential Brands’ chief marketing officer about the future of the Irish whiskey category.